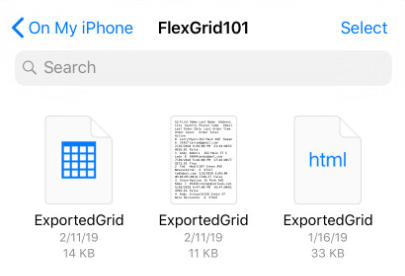 We've added a new exporting feature to the Xamarin FlexGrid for 2019 v1 which helps users preserve their data in several different file formats. This new feature allows you to save a file to device or stream easily. Files can be exported to CSV, text, and HTML files with different options for encoding and presentation of the FlexGrid data using the Save() method. Files can be saved to either the file system, a Stream, or a StreamWriter. Read the full ComponentOne 2019 v1 release. 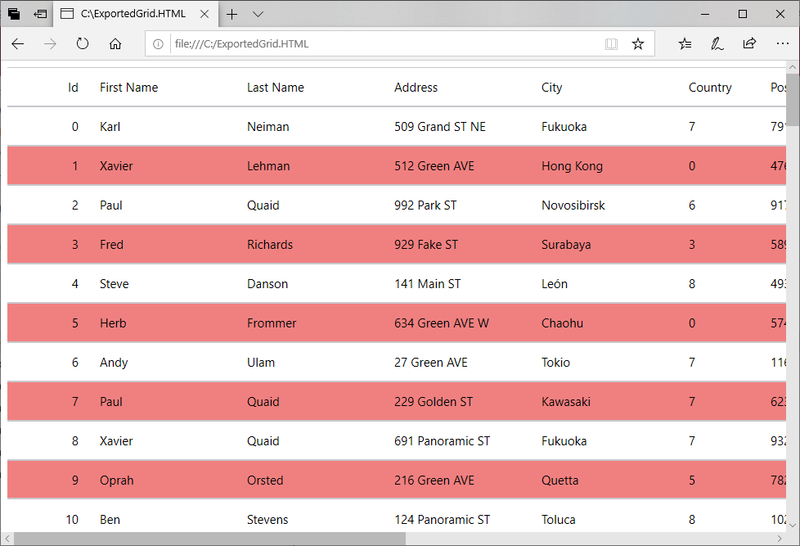 CSV and text files both are unformatted, but the HTML export will reflect cell merging, grid lines, padding, and color changes. You can also use the FileFormat Enumeration to save the file in different formats. The System.Text.Encoding is also a system that dictates what encoding format you use when saving data. The default is UTF8. The GridSaveOptions Enumeration allows you to control how your data is saved. You can choose to save formatted values, save only visible data (whether columns or rows), and also whether to save headers. 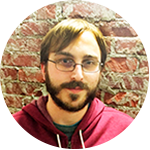 Another important aspect when interacting with mobile file systems is that you follow the appropriate rules and add the write permissions to interact with a local file. In the code sample we've given above for saving, there aren't any special permissions needed for file access. However, if you choose another file location each platform will have different rules. Saving a file to External Storage allows the user to access the file outside of your app. If you'd prefer to constrain access so that it's only to your app you can limit it to Internal Storage instead. You may find that you want a different file location on each platform since each has their own conventions, and in that case you may want to write your own dependency service. A dependency service allows you to create an interface which than has different implementations on each platform. We've documented how this can be done in the past, but we'll highlight a quick example here. Note that the Environment object in the above code refers to Android.OS.Environment. Note that this Environment is System.Environment. You can further tweak this pattern to suite your needs. Please leave us your thoughts in the comments below, and happy coding!